Where does the time go?! We’re already in September, and the cooler weather is moving in. I had my last camping trip of the summer this past weekend, and I had one of my best friends visit me the weekend before. Before I knew it, almost two weeks had gone by without a single post. So that’s the story. 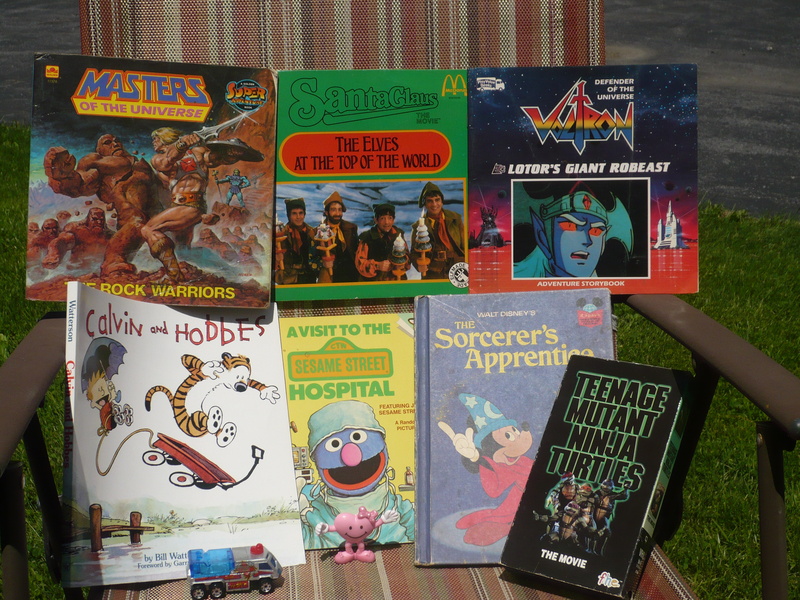 But in the time I was away, I managed to have a few items come my way. 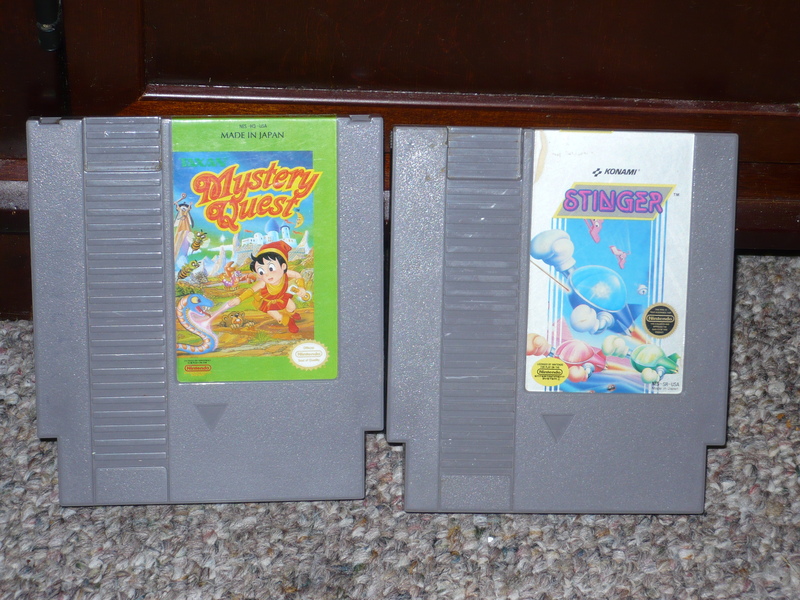 Whether good or bad, I always love to get new NES games to add to the collection. In my opinion both of these are decent games. Stinger was given to me from my friend Mike. He was at a video game store, picked up two copies, and gave one to me. The boss at the end of the first stage is a giant slice of anthropomorphic watermelon! Mystery Quest was an Ebay find, nothing too special. I had this game when I was a kid, but I don’t remember much of it. The only thing that I specifically remembered, was that your health was referred to as “vitality”. It’s a little bit of a rip-off of a mario game, but it’s different enough to be enjoyable. Not including shipping, I paid $2.05 for this 1992 April. Not bad. Not bad. The card is a little warped, but may be able to be fixed. It’s also unpunched. 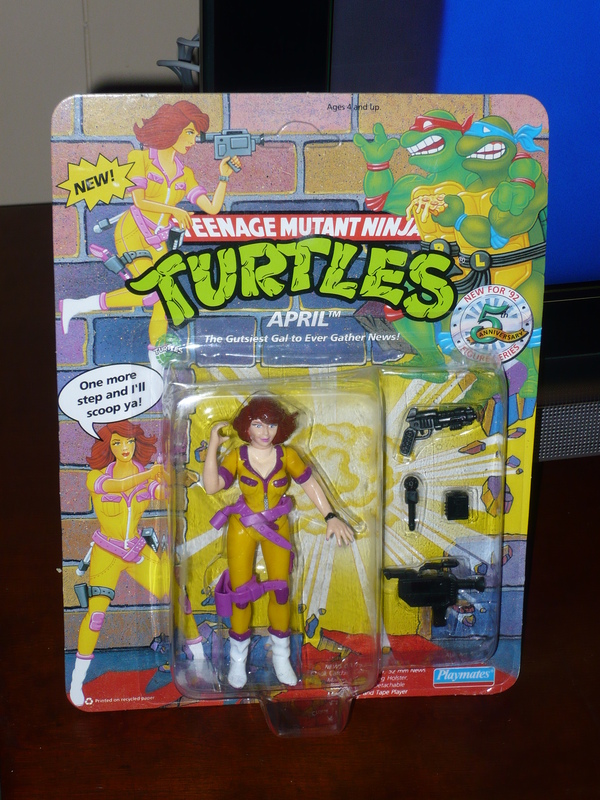 As you can see, this is a 5th anniversary figure(“New for ’92!”). 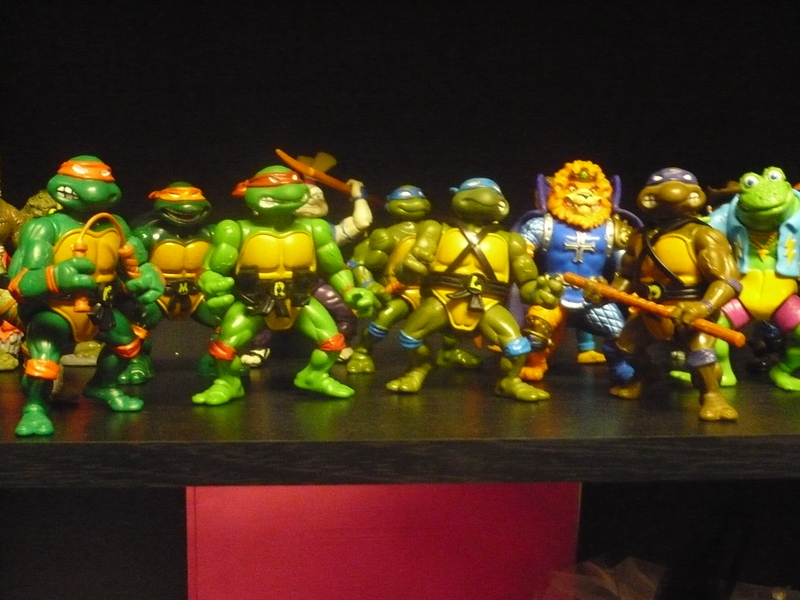 Any time I can get a carded, old-school TMNT figure for a great price, I won’t pass it up. 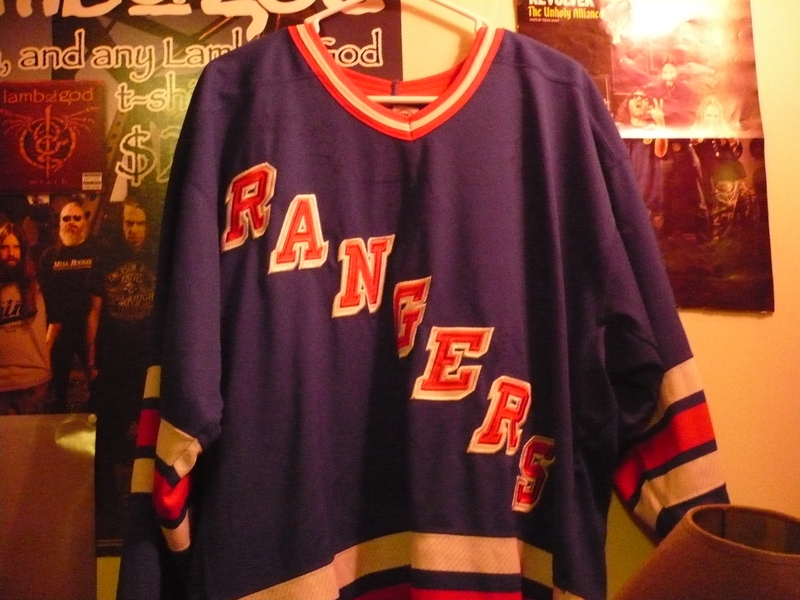 And here is the most recent, but also, most awesome find. This has to be one of my favorite finds ever! And I almost didn’t see it. I was at the “Red Barn”, and happened to catch it out of the corner of my eye when I was starting to leave. I grabbed and just could not believe it. It’s just one of those toys you don’t expect to find in the wild anymore. 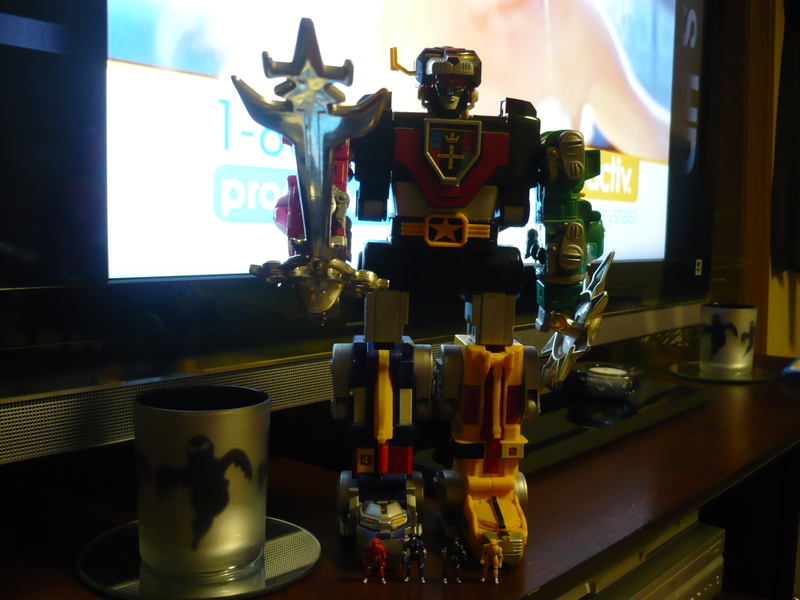 Voltron is a long time favorite of mine, but I was much more into the show when I was a kid. This was one of the toys that I always wanted, but never got(I do have one from ’97-’98). My friend Rob got it for me, and said it was the birthday gift he forgot to give me. What a guy! The best part? The lions are in excellent shape! 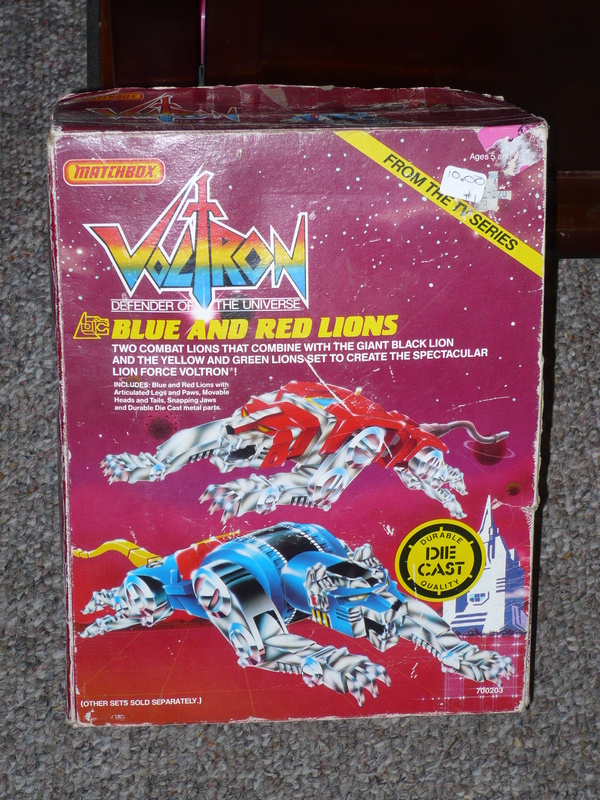 As you can see on the box, this is the blue and red lion set. We’ll take a closer look at these in the near future, but here’s this for now. It was a pretty quick decision. I believe I bought this from a Toys R Us back in 1999. When I was a kid in the eighties, I would’ve killed for the original(it was diecast, ya know). 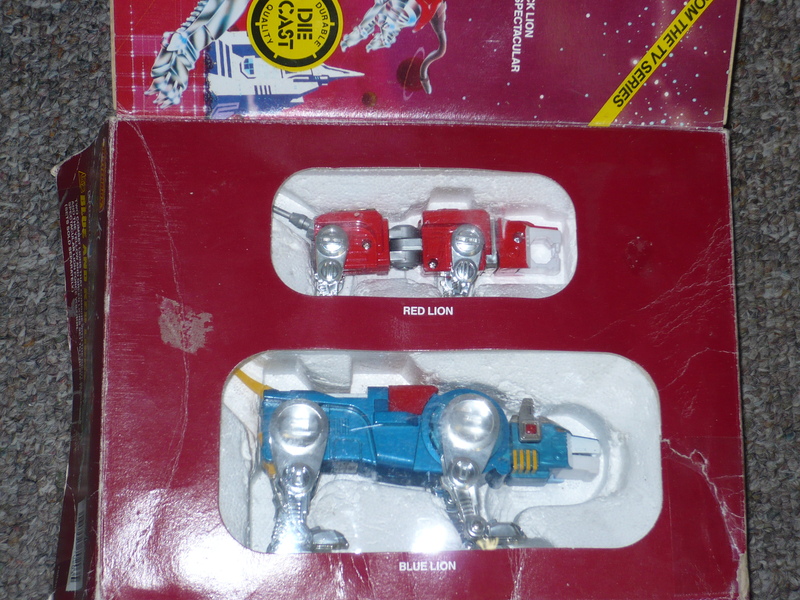 But, I only owned the green lion, and my brother owned the red lion(the black lion is my personal favorite). I happened to hit up the Toys R Us in White Plains on pay day, and there were 3 of these on the shelf. It was the 5 lions, the five pilots and the “Blazing Sword” and shield. A pretty good deal for the $29.99 asking price. I didn’t even flinch…I wanted this! While waiting for the train to go back home, I opened up the package and began to assemble it. 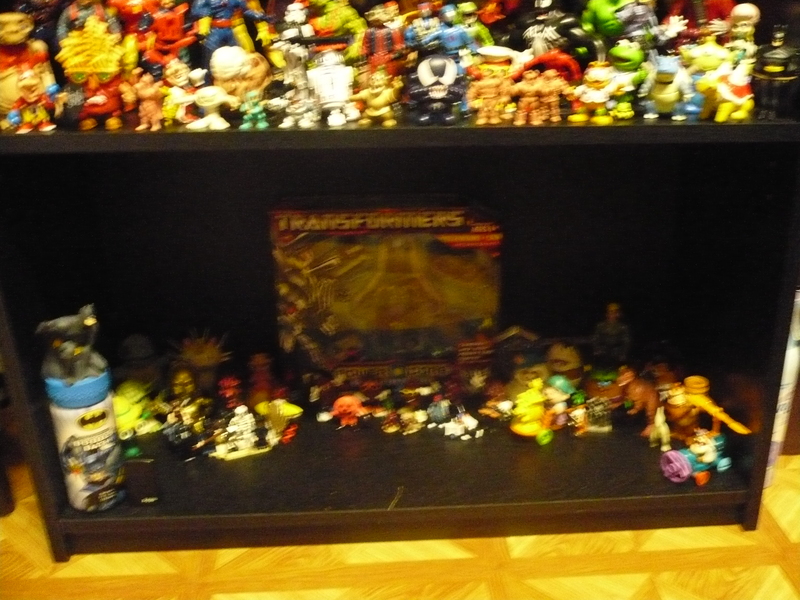 The box it came in is long gone, as I wasn’t the dork collector I am today. One of the horns on the robot form’s head is missing, as is it’s spring-loaded missile on the back and one of the “wings” is also absent. The only other thing missing is Pidge(the mini pilot for the green lion). But it’s mine, and it’s also one of the toys that’s been in my collection the longest. Check out what Colbey couldn’t leave behind over at Random Toy Reviews. Shawn from Branded in the Eighties chooses to save a cuddley(sp?) friend. 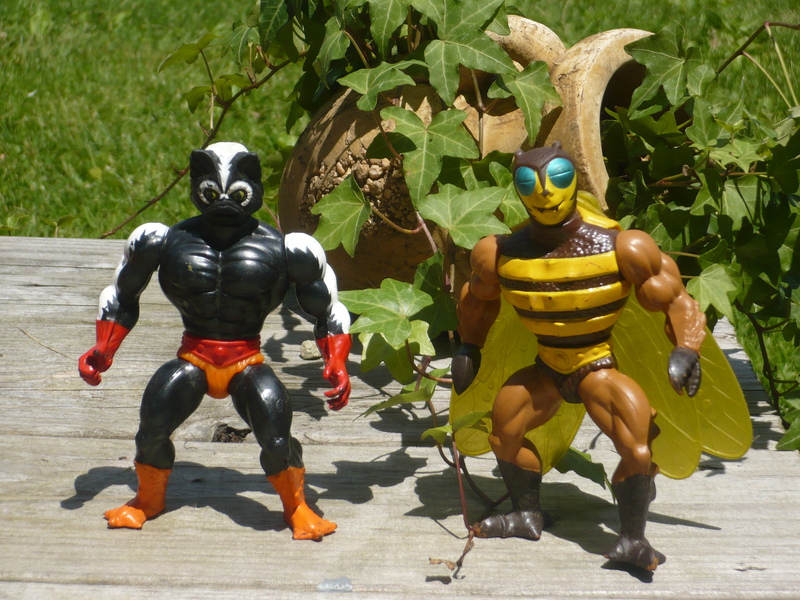 Jon from Doubledumbassonyou picks a figure I never even knew existed(but it’s awesome!). 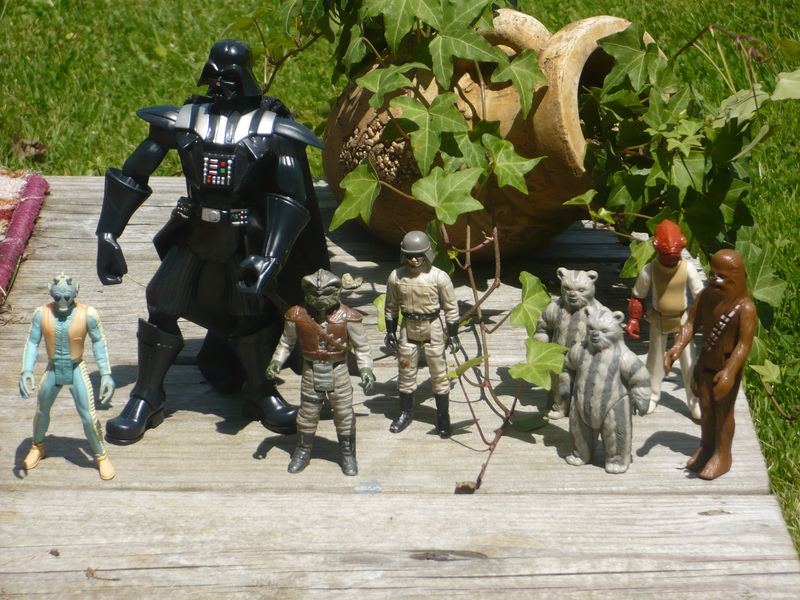 And, I went to a toy show today! It was a small affair, but I did manage to get a few deals. I want to spread them out over the next week(this gives me a few posts), so I’ll just show you guys the smaller stuff today. 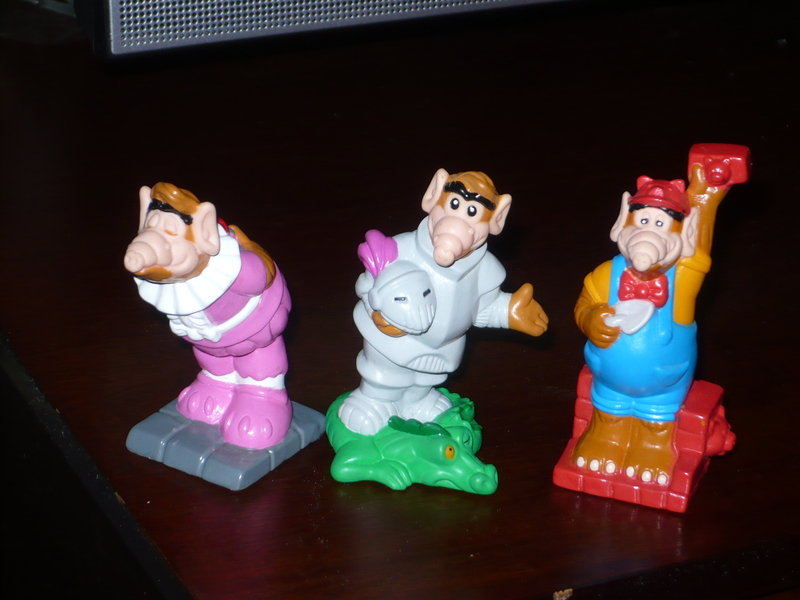 These ALF figures were given away in Wendy’s kids meals sometime back in 1990(that’s what they’re stamped). I’m a fan olf ALF, and for 50 cents each, I grabbed all 3. They’re based on the short-lived animated show(that I liked, and the toy line is something I’d like to find a few of), but these look like they’re more specifically from ALF Tales(which were poplular fairy tales that featured ALF in the title roles(I have ALF Tales on dvd, and I can’t believe I haven’t watched it yet! I’ll have to get on that). And in the same box, I also found these. 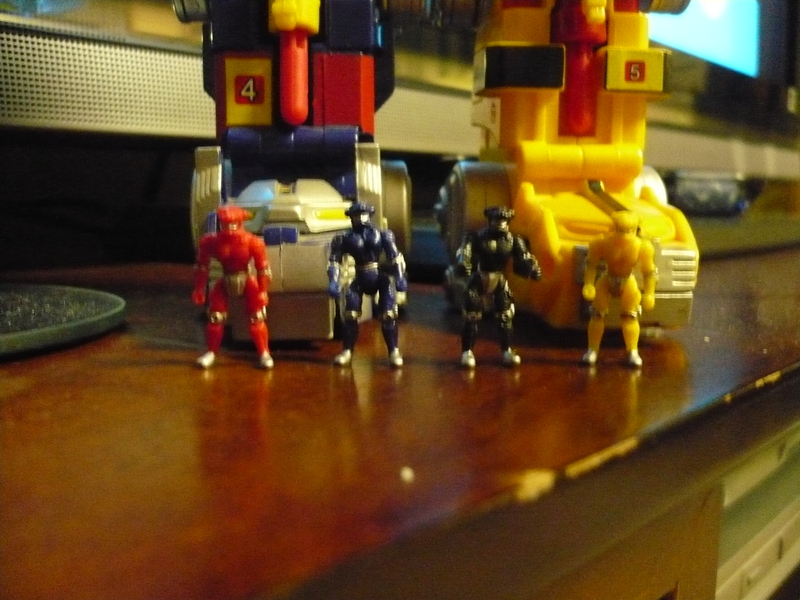 Also, 50 cents each. Any E.T. 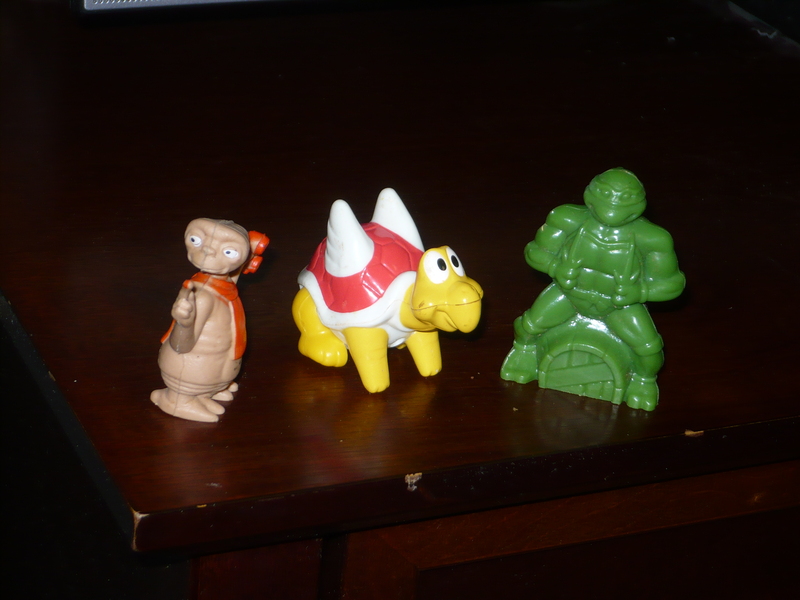 toy for fifty cents is a deal in my opinion, plus these are my favorite representations of the lovable alien. The Happy Meal Koopa Paratroopa was in a line of toys given away in Happy Meals at McDonald’s back in 1990(check out a commercial for it here). 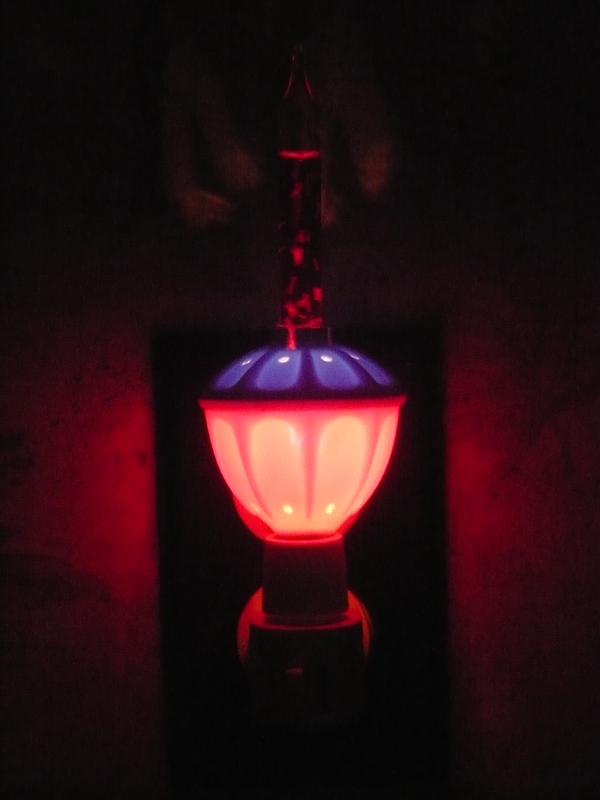 Just like the other one in my collection, it is missing the tube and bulb required to make it hop. There are loads of these guys in the games, so I don’t mind owning 2 of them(they’re my favorite old school Super Mario enemies anyway). The Teenage Mutant Ninja Turtle candy dispenser is made by Topps, but this piece is missing the bottom cover, so I don’t have a date for you. But I would assume that it’s from around 1989-1990. I remember buying tons of this candy back in the day, and it’s something I have never came across for sale, and at the price I paid, I’m happy. 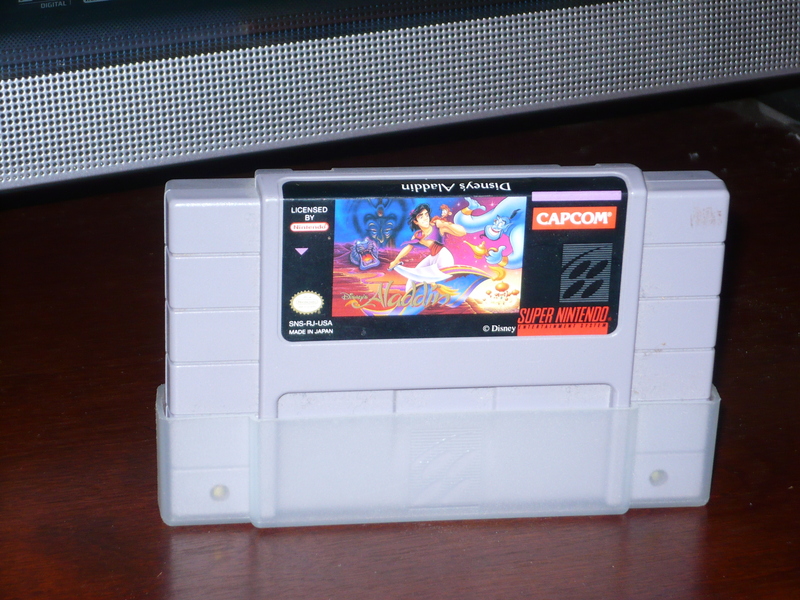 I also managed to score a SNES game at a very nice price. There was a kid there selling a Super Nintendo and 6 Super Nintendo games. So I asked how much the games were. He said that they were all $10, but Aladdin was $3! I already own the other 5 games that were there, and this one usually sells for $10 or more. It’s a fun platformer, and it’s from Capcom, so it’s also very visually appealing as well. The best is yet to come. I have a few really awesome toys we’ll see in the coming days(quite possibly tomorrow). Well, my computer is out of commission for the moment, so I’m posting this on the Clarkinator’s computer. 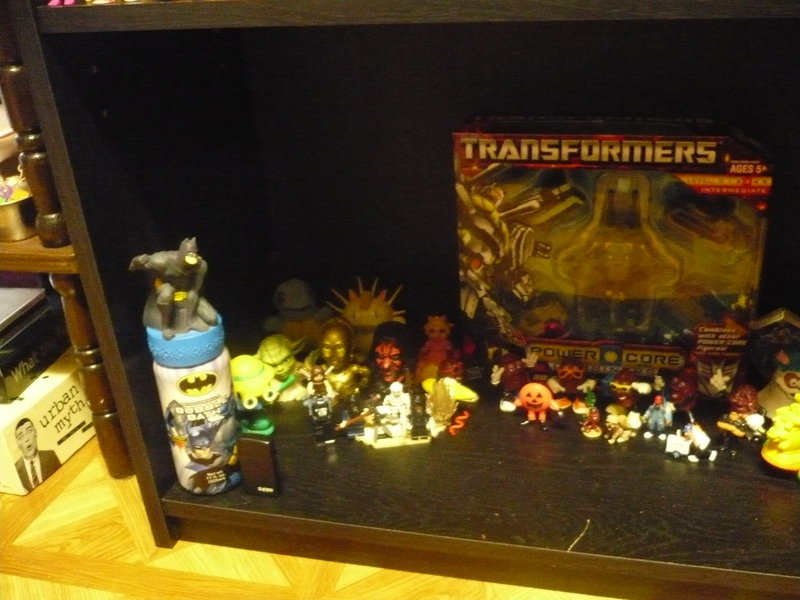 Recently, I got a bookshelf to display my loose toys in my bedroom. The funny thing is, is that it was my wife’s idea. 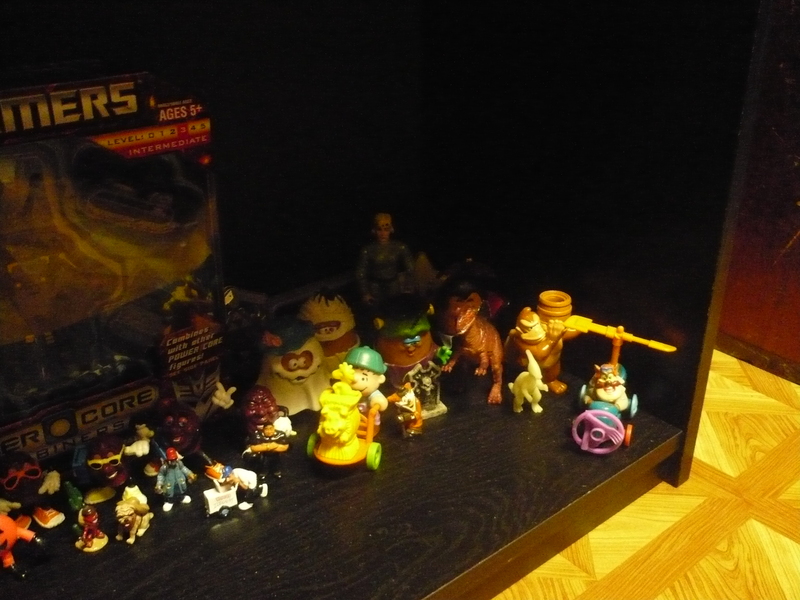 Now, there are mostly MIB figures and such in “The Vault”. Without further adieu, toys. There’s the beast in all it’s glory! 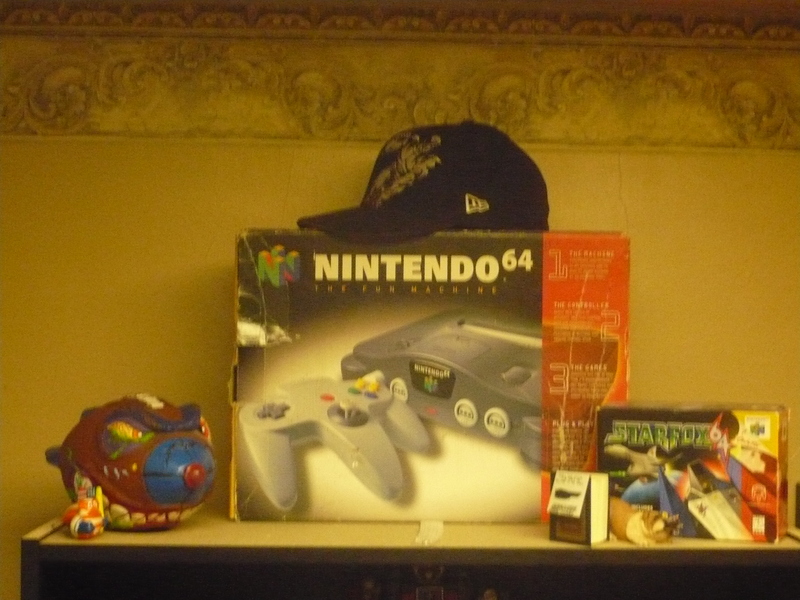 On top, we have my boxed N64, boxed Starfox 64 as well as a few random pieces. You should know what the other stuff is(if you don’t, just ask). If you look closely you’ll notice Superchicken! 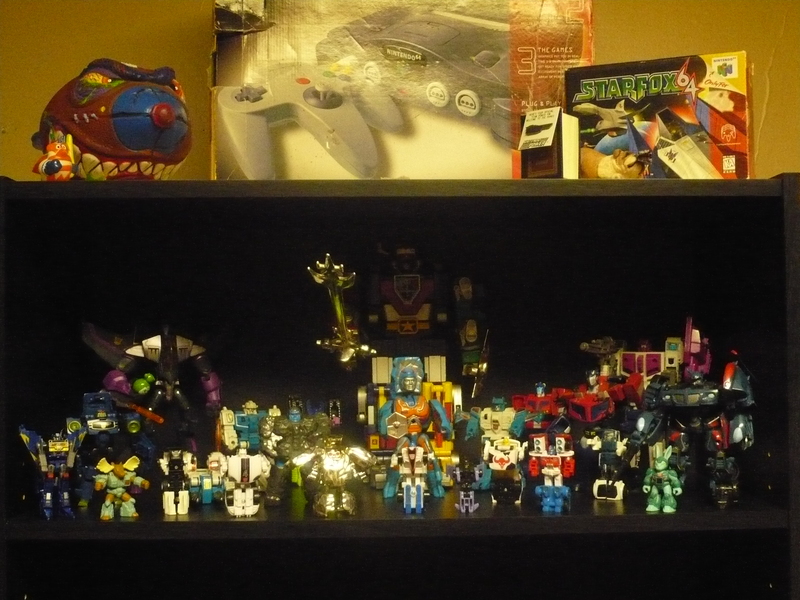 The first shelf is the Transformers/robots shelf. 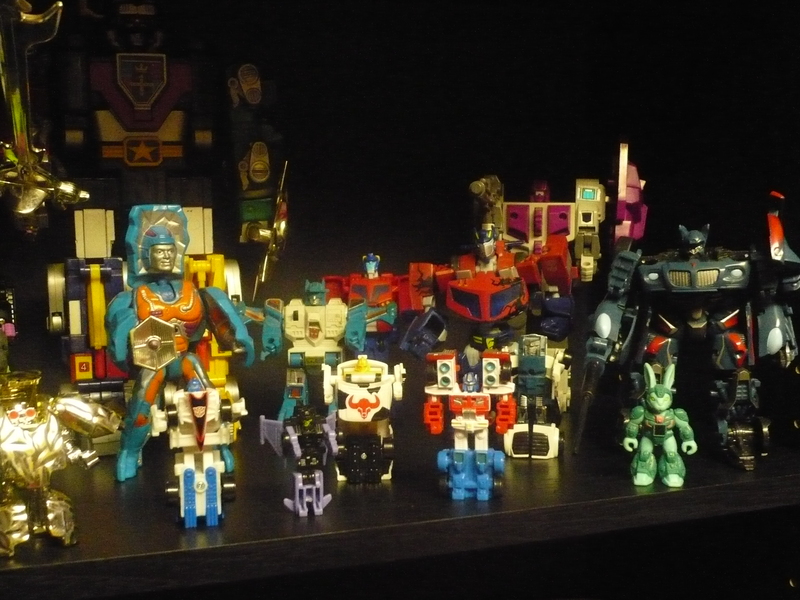 A mix of Transformers, Rock Lords, Battle Beasts, Voltron and Rokkon from MOTU. 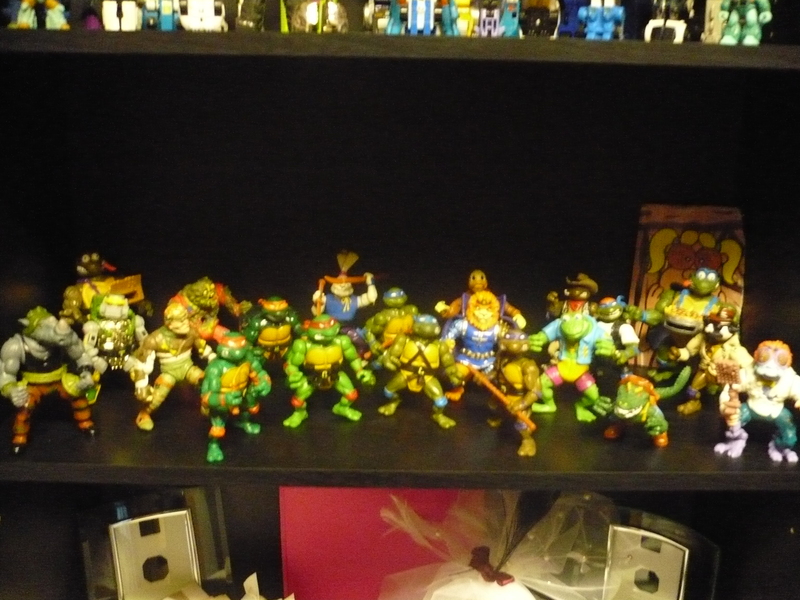 Going down one shelf, we have the TMNT shelf. This shelf is exclusively dedicated to Teenage Mutant Ninja Turtles, except for the picture of Penny, remembered from Pee-Wee’s Playhouse. The picture of Penny is actually cut out from the box of the talking Pee Wee I traded to my brother a couple years ago. The third shelf is for my wife and I’s wedding memorabilia. 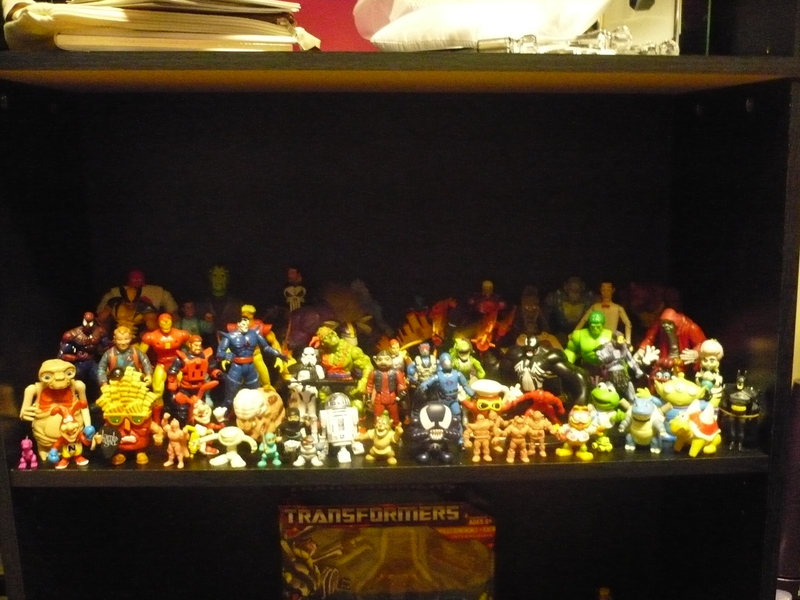 The third shelf of toys is a mix up of lots of great lines. 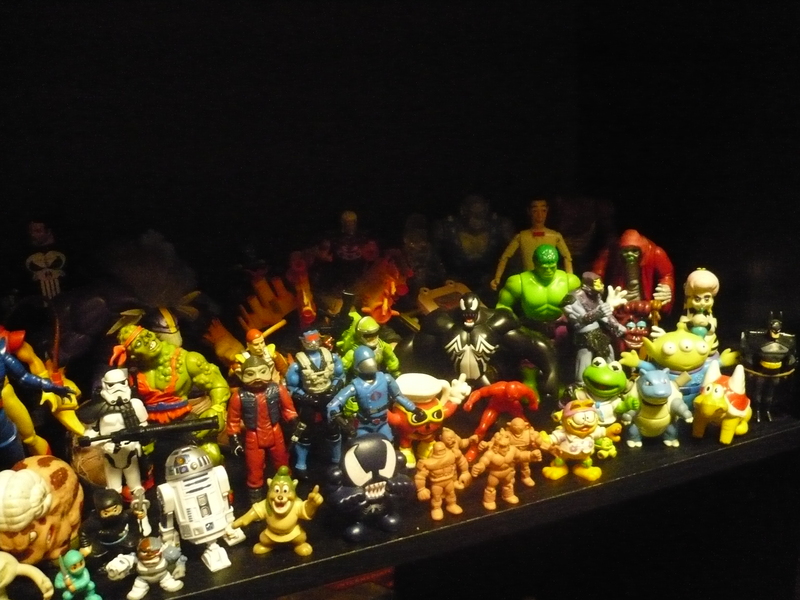 Here you will see Marvel super heroes from different lines, M.U.S.C.L.E. men, Thunder Cats, Ghostbusters, G.I. 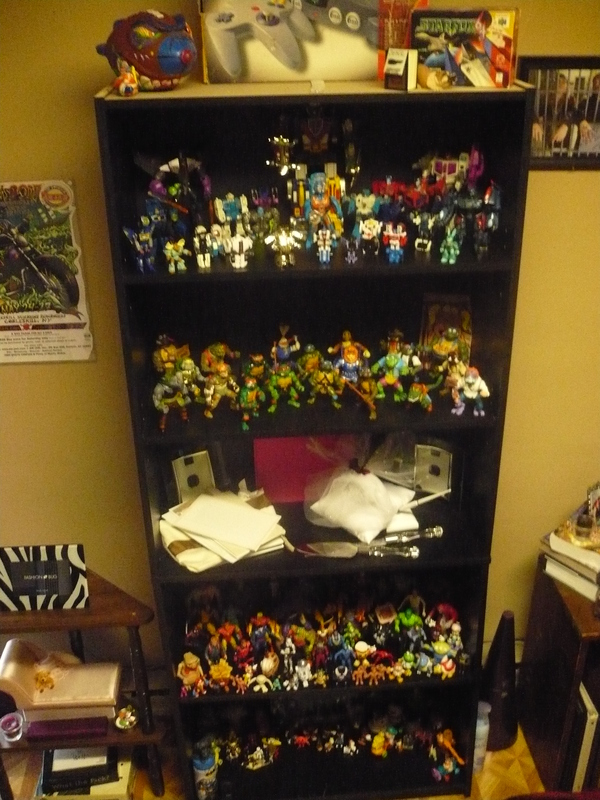 Joe and many other toy lines. See how many different ones you can name. The bottom shelf is stuff that I couldn’t fit on other shelves, or just didn’t belong on them. 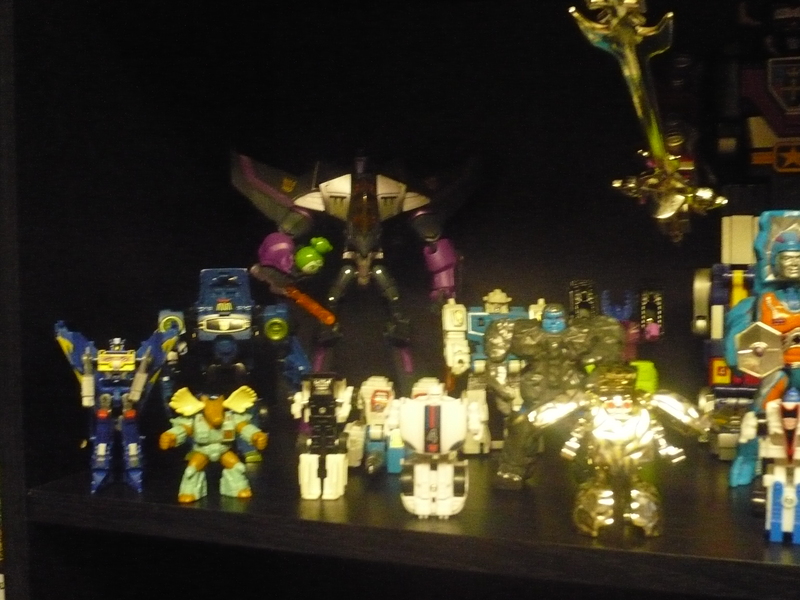 I know this is blurry, so, below are a few shots from different angles(of all the shelves). Well, there you have it. My new toy display. 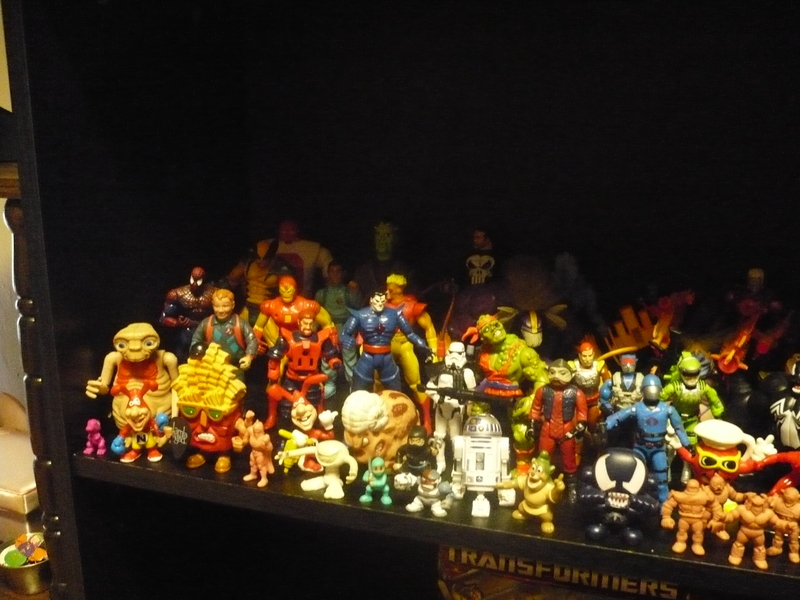 That’s not all the toys I own, but it is a nice chunk of them. Others are stored away, the ones still in their package are still in “The Vault” and I’m certain that I’m not done with the collection yet(far from it). So, what do you guys think? Was it worth the wait? Please share your thought in the comments. You can even comment on what your favorite piece is. And later in the day these pictures were taken, I acquired a big ALF plush from The Clakinator, in exchange for an E.T. that I had. He is now seated on the shelf on the right side of the N64. Pictures of him will surface at another time.